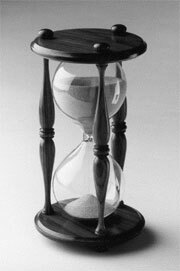 A law establishing the time limit within which a lawsuit must be brought is called a statute of limitation. Different types of cases have different statutes of limitation. Knowing which statute of limitation applies is critical, since if a lawsuit is not brought within the time limit that applies to the case, the right to sue and recover damages is forever lost. The statute of limitations for a personal injury lawsuit is usually relatively short, ranging from as brief as six months to up to two years in most cases, subject to a number of factors. It is critical that you contact an attorney immediately after suffering any injury so that the appropriate statute of limitations can be determined. You may have less than six months to file a Notice Of Claim from the date of the incident which led to your injuries. At Conway and Hess PLLC, we make sure to explore all aspects of your case as soon as possible to ensure that no claims are lost as a result of untimely action. Measuring the statute of limitations for a particular situation can be a complex issue. The time usually begins "to run" at the time the injury occurs. Under Virginia law, unlike in most states, a "right of action" does not occur until an injury is sustained, and not when the resulting damage is discovered. Va. Code § 8.01-230. An injury need not occur at the same time as the negligent act, but may arise later. The statute of limitations period begins to run when the injury occurs, not necessarily when the accident occurs. Special rules apply in measuring the statute of limitations when a child is injured, in which case the time does not begin to run for an injury until the child reaches 18 years of age. These special rules may also apply to people who are mentally impaired or who leave the state for particular kinds of reasons such as for military service. Va. Code § 8.01-229. Of course, regardless of the possible availability of an exception, it is always beneficial to bring a lawsuit as soon as it is practical to do so, since the availability (and memory) of witnesses to an accident and related physical evidence is much greater shortly after an accident than after years have passed.